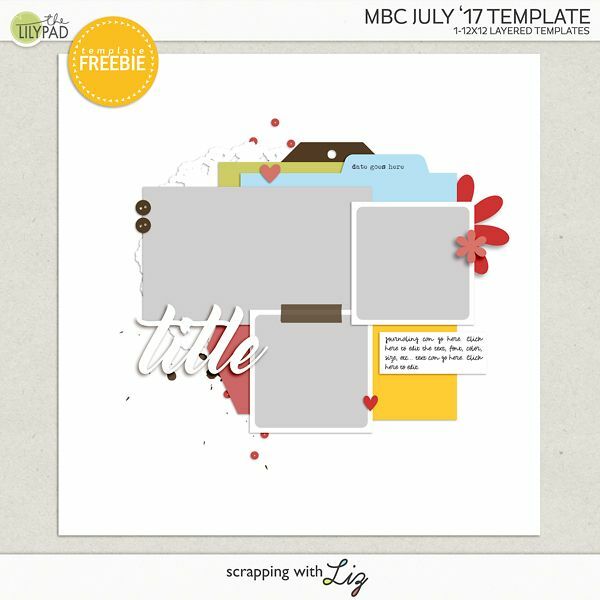 Scrapping with Liz: Monthly Blog Challenge for July! Happy Independence Day to those of you in the U.S.A! Happy (belated) Canada Day to all of you in Canada! 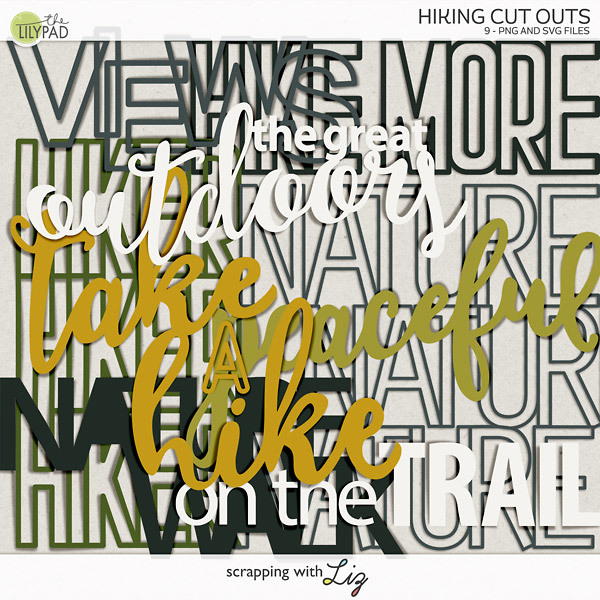 Happy Scrapping in July to everyone!!! This month's template is fantastic! I've already used it once and have another layout in progress. I absolutely love when a template comes along that I want to use again and again and again. Recyclables 6 (retired), Simple & Sweet Album Templates 1, and Simple & Sweet Album Templates 4 are my current "go to" templates when I want to scrap but am not sure I have any scrappy-mojo in the tank. 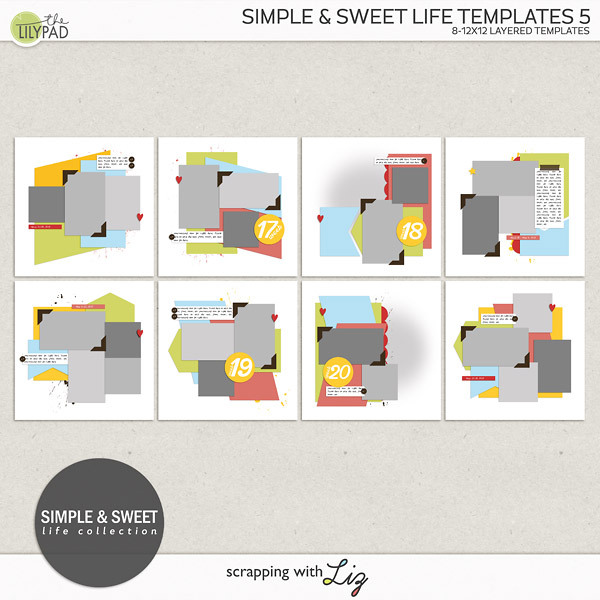 Do you have a "go to" set of templates? What do you do when you're feeling like your scrapping mojo is AWOL? 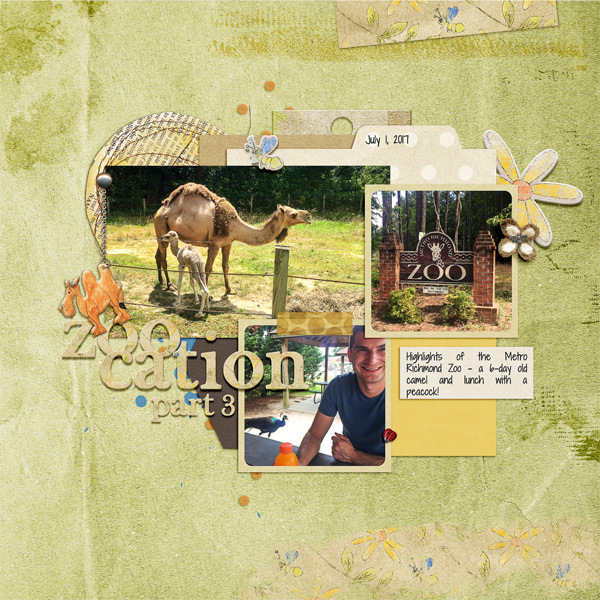 Did you see that baby camel in Donna's layout? OMGee!!! I literally squealed when I saw it. I'm a softie for baby anything but that camel is soooo adorable! Include the challenge month of your submission on the subject line. 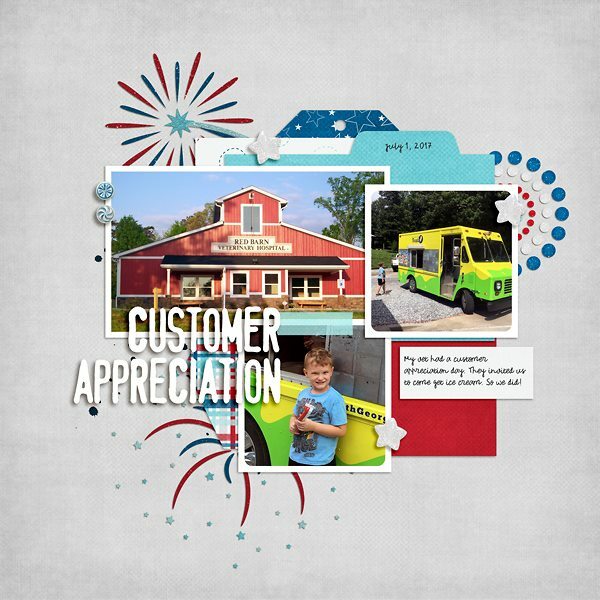 This month, we'll use "July '17 Challenge"
Speaking of winning $10 to Liz's store, I have June's winner for you. Your fishy page is the winner for June! Have a happy and safe month!